SUPERVALU REMAINS IRELAND’S most popular supermarket, but some of its competitors had strong results in the latest Kantar Worldpanel surveys. The 12-weeks up to 14 August showed 3.5% growth in grocery sales on last year, with Dunnes, SuperValu and Lidl all scoring wins. Among the major retailers Dunnes Stores has posted the strongest growth this quarter, with sales 5.8% ahead of last year. The retailer now holds 21.2% of the market, up from 20.7% this time last year. SuperValu continues to post positive results with sales growth of 3.2%, maintaining its position as the number one grocery retailer for the 11th consecutive month. Further welcome news for SuperValu comes in the form of boosted footfall: an additional 15,000 households shopped with the retailer in the past 12 weeks. Meanwhile, Tesco remains in second place, although its market share has dipped to 21.8%. David Berry of Kantar says that the good news extends to the Germans in the Irish market. Lidl’s market share has reached 11.9% – a new record high for the retailer, beating its previous best of 11.8% from August 2015. 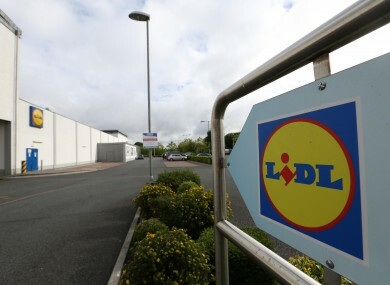 Lidl is reaping the rewards of recruiting 34,000 new shoppers during the past 12 weeks. Email “SuperValu is still Ireland's favourite supermarket - but Lidl is reaching record highs”. Feedback on “SuperValu is still Ireland's favourite supermarket - but Lidl is reaching record highs”.